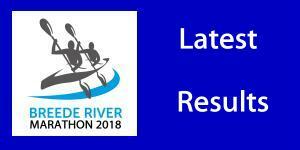 As the Western Cape canoeing season shifts to the K2 phase on the Breede River, interest in the annual Breede River Canoe Marathon, that forms the climax of the doubles racing season on 25 and 26 August, has been heightened by the announcement that the popular event will double as the SA K2 River Championships for 2018. 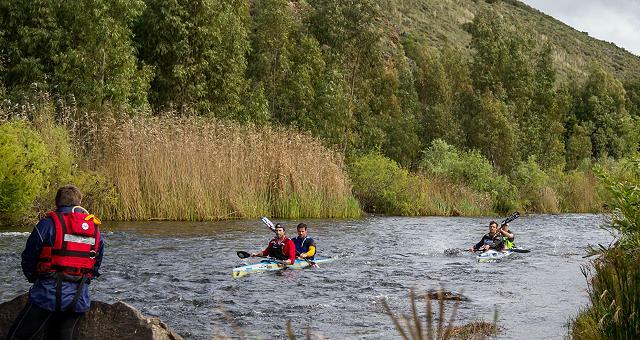 With the Berg River Canoe Marathon having enjoyed much better water than the preceding drought ravaged four years, paddlers are eyeing the K2 season in the Breede valley with enthusiasm, and the addition of the nation doubles title adds distinct lustre to the event, which spans the Breede River from Robertson to Swellendam. The Breede is a regular venue for the national K2 and K3 river championships because it offers an acceptable balance between large wide tracts of flatwater, where classic marathon tactics and bunch racing can dominate the racing, and the technical tests of rapids, currents, eddies and weirs. To further bolster interest in the event, the race has started a bold drive to encourage first time paddlers to the Breede to take part through a novel “Nurture A Novice” programme. This entails an experienced paddler agreeing to paddle the two day race with a novice in the back seat of their K2 to safely introduce them to the excitement and pleasure of the trip at the foothills of the Langeberg mountains. “The Breede is not a technically difficult race and it is easily do-able for a visitor from outside of the province arriving just in time for the race and not having done any tripping or scouting of the river,” said race committee head Richard Allen. “Safety is always a top priority for us, and we won’t ever compromise on that,” he added. “With a seasoned paddler taking charge of the steering of the boat and making all the technical decisions, this allows a novice to relax and really enjoy the two days on a really special section of river,” he added. “What we are excited to see is the number of novices that have already committed to doing the race with an experienced partner doing the weekly time trails and training with that partner to get ready for the race,” he said. “For a lot of experienced paddlers, the added attraction of having the SA K2 Champs at the Breede means that there are CSA medals up for grabs in all of the K2 classes, from the Juniors to Under 23, seniors and all the veteran and master classes. “Many paddlers have done a lot of races, but here is a chance to add a CSA medal to their collection, so it tends to get quite exciting to follow these races within a race for the various age group class categories,” he said. Normal entries close at midnight 12 August 2018. Robertson (McGregor Bridge) to Riggton River Farm, Bonnievale. Bonnievale (Riggton River Farm) to Kam’bati River Resort. 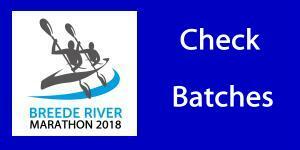 The 2018 Breede River Canoe Marathon takes place from Robertson to Kam’bati River Resort outside Swellendam on 25 and 26 August.